The majority of time, people, especially believers, don’t have any idea how the enemy is able to use us all at times. That is why we must keep our confidence and trust in God at all times. Never put complete confidence in man. Jesus gave us a perfect example about this when he had to rebuke Peter. Peter was being used by Satan and Peter had no clue. Jesus rebuked the spirit that was behind the matter and spoke his words to Peters face. Did the Lord disown or throw Peter away because his words were used by the enemy at that point? Peter had no idea he was deceived when he spoke those words. Jesus knew who was speaking and the origin of Peters words. Jesus recognized the devil in Peters words and rebuked the enemy. That spirit had no choice in the matter, for that spirit had to depart. I imagine Peter, after that rebuke, became a bit bewildered in finding out the truth. Beloved we are all are capable of listening to the wrong spirit. We must always remember that our battle does not originate from man. Our battles are not with flesh and blood but against the enemy of our souls. “But when he had turned about and looked on his disciples, he rebuked Peter, saying, Get thee behind me, Satan: for thou savourest not the things that be of God, but the things that be of men,” Mark 8:33 KJV. We don’t write off a person because they fail or say the wrong thing. We are to love and discern and pray for all of us. Often, I see in my own life that when I make a mistake and repent, many who said they would forgive me walked away. We are supposed to be a family beloved and we ALL make mistakes. Please don’t count us off when we miss the mark. Perfection is not possible in the flesh and we deal with real life issues and problems. The Lord wants us to resolve relationships so that we will not hold a grudge because we or others miss the mark. No person is perfect and we never will be. Keep our focus on God and as we stay close to Him, we will know where each word originates. Don’t cut off a beloved sister or brother and disassociate from them for human or spiritual error. We must learn to function as one body and when one misses it we all do. We need to have grace and mercy towards others like our heavenly father has towards us. Many times, people have no idea why we leave and they detach from us because of failure and the sin that so easily besets us. I have found on-line that it is easier to detach and remove ourselves from people and go into isolation; but it renders us divided. We are to measure ourselves against the Word of God not each other. When we measure ourselves against ourselves we are unwise. Oh, how I would love to have so many relationships restored especially those that in some way I caused an offense. I am so sorry and have great hope for restoration! We can forgive and forget so easily when we don’t have to see the person. However, there are so many that have not been able to totally forgive. When these move away from you and there is no closure. People usually remain isolated due to the fear of rejection. Usually if we can just block, we do so as an act of self-preservation. We never really learn to have relationships if we fail to conquer rejection. We can try to deny that there is an issue, but God knows our heart and knows what we need. None of us have it all together, and God expects us to learn to love one another even in all of our failures and mistakes. Beloved we are flesh of our flesh and bone of our bone in Christ and we are His beloved Bride. We must mediate on these things and if we have any relationships that need mending, we need to make the first step. The great NET-Work needs all of us for the last end time harvest. Beloved love one another and forgive one another even as Christ has forgiven you! For a couple weeks now, I have felt grieved in my body and I could hear crying inside of me and I kept asking the LORD what it was and what was wrong. Today He helped me understand a lot more. I saw the LORD’s Hand squeezing an enlarged heart like a sponge, but instead of it dripping blood, it was being transformed and dripping the Oil of Gladness and of Great Compassion. Then I saw the heart being squeezed and what appeared, was the washing of the Water of the Word. I also saw the person, as this squeezing took place. Each time the heart was squeezed, the person would breath in deeply and then would shed tears…. This was an intense process, and one that had to be done to finalize. “Thou hast loved righteousness, and hated iniquity; therefore God, even thy God, hath anointed thee with the oil of gladness above thy fellows,” Hebrews 1:9 KJV. “and let them make haste, and take up a wailing for us, that our eyes may run down with tears, and our eyelids gush out with waters,” Jeremiah 9:18 KJV. I also see a vision like of the boat that Washington used crossing the Delaware River, but instead of a red, white and blue flag, there was a deeper meaning. I saw a superimposed realm in which I could see that there were two flags. But in this vision, the LORD allowed me to focus and see the brilliant white flag in the head of the boat. The flag was without spot wrinkle or any blemish as Washington faced a new land and territory. I knew in the vision that the white flag meant moving forward with absolute surrender to the will of God. Washington prayed and surrendered to the LORD’s will in crossing over that river and the trek that God led him to do. “I AM yearning for you My Beloved, yearning to clothe you as I have squeezed your heart of great compassion and in the shedding of My Blood I conquered death, hell and the grave for eternal life. You haven’t understood some things, and you haven’t learned from books or theories, but from dwelling in Me richly and boldly. Yes, you have felt lonely in this temporal life, but I have caused you to learn of Me through the identity of My son in the fellowship of the sufferings beloved. These tests of the hidden places of the heart are the places where I dwell in you richly. Yes, you have identified with me but have only tasted only a very small portion of the anguish of My Heart. I grieve and anguish over the whole world! I squeezed your heart and you have identified and learned with great surrender and compassion, how I feel about the whole world. Even in advancing you and crossing over into the new places of my purpose and mission; I have kept you and will continue beloved. My banner over you is love and I have kept you and purposed you in total surrender to My Purpose. My advancing warrior children are found keeping pace in the secret place of the heart of their surrender. Learning in seeking My Face in childlike grace creates an impenetrable heart that is given only by Me. A stout measure of fortification and walls of defense are in this place for those in the secret place and you shall know the heart of the matter as you abide there. In the hearts of innocence and trust, I have proven you in your passion. I have kept you as your love is pure and simple. Remaining lowly of heart and remaining childlike will be an impenetrable fortress against the winds and the storms that come to test your resolve. I have sought after a heart that is true and dear, having a childlike pace that seek My Face. Being as a child isn’t such a grand place of men’s dreams and desire for accolades, but the retreat to what is simple. It is there that I AM at ease with those leaning against My breast. Severed away of things that have come your way, knowing too what is more is less, is more of your heart true. It is learning to dwell in Me you will depend on me more. I know that sometimes it can be so utterly alone and dark but, in this obscurity, I AM bringing victory. I AM bringing you victory and grace in all you do beloved true,” says the LORD. I believe tears are the response of Jesus through us. He weeps within and through our tears, so when we feel so alone and feel and hear the weeping within, remember that you have become one with Christ and He abides within you in the fellowship of his sufferings. The hurt and pain of rejection He feels is magnified much more in the world view. Imagine the hurt and the pain He has for those who would crucify Him afresh. When people hurt us, they don’t realize they are hurting Him too. So, don’t be afraid of weeping and tears, for they are sharing his life through you. I keep hearing Him say to REST and for those like us. We struggle with this concept, because we feel we must do something. Entering His rest is a position, leaning back without thought or care, he leads us there so we will be healed of such trifle thoughts of everyday life and those things he must sever so that we will be grow in a greater degree in all humility. You are right, not many should strive for high places in man’s accolades. I pray that God will not give me more or allow anything that would turn my face away from His. Even if you want to remain hidden for your whole life, what you experience in secret he awards for eternal life. Being childlike is a goal of innocence. Don’t hold on to people too tightly anymore. The great network in so many ways is uncharted territory in reaching the great harvest of souls. Because of the price don’t seek selfish ambitions, it is not worth it. Ministry is a goal, not a destination. So those He sends our way, obey Him, but not man’s ways. I have heard it so many times before, that many years ago the desire for ministry was strong, but now it is gone. We must remember that it is all about Him, when He lifts us up to Him instead. He will give you the grace, but remember the price, it will cost your very life. Remember Moses thought his best days were behind him. Keep your focus on God instead of man, so that no idolatry, nor shame as we keep in synchronization with the Master’s plan. “For I reckon that the sufferings of this present times are not worthy to be compared with the glory which shall be revealed in us,” Romans 8:18 KJV. “But rejoice, in as much as ye are partakers of Christ’s sufferings; that, when his glory shall be revealed, ye may be glad also with exceeding joy,” 1 Peter 4:13 KJV. Author newbeginninginternational.netPosted on July 26, 2018 July 26, 2018 Categories Christian Living, ProphecyLeave a comment on Surrender Through HIS Process! Condescending religious spirits and people in general, like taking advantage of us when we are down. They think it is their place or portion to correct a brother or sister, when they actually need to be redirecting prayer against the enemy’s tactics and actions. Our battle is NOT with flesh and blood, but against principalities, powers, and rulers of darkness. Above all, we are to use words in humility toward that one who needs our prayers. These religious spirits fail to pray but they use word curses, taking God’s word in a twisting way in declaring you as unfit, wrong, and not approved of God. Their MO (Modus Operandi) is to gain access to your life to destroy your credibility, character, and the ultimate, your ministry and life. If the person attacked succumbs to the lies of the enemy, they will be bound by those lies and false words of the enemy. Your deliverance is just a few thoughts, and words away! Rebuke the enemy and cast out unbelief and doubt and let the light of God come in! Come to realize and understand, that you have been duped into believing lies about your own life! These devils know and study you! We are to study to show ourselves approved by God a work man that need not be ashamed rightly dividing the word of truth! The enemy seeks areas of weakness and makes plans in advance. Sometimes their plans are quite detailed and planned from many years ago to happen now! We fully don’t understand the accountability given to us by the words we speak. God created the universe with His word and we are created in his image to create with our words. God has given us free choice and free will both positive and negative. He will not make you do anything. Like generational spirits, they manifest at a certain point when we are most vulnerable. Unlike God, the devils are not omnipresent. None of us truly know the depth of our own heart, but God knows everything from beginning to end. He knows our motives, and knows our hearts. Yes beloved, we may need to have confrontations to put the devil in his place. Sad to say though, we must deal with people who are being used by the enemy in this manner. Remember that all things work together for good, to those who love God and are called to his purpose. David knew the hardness of being a good soldier for God and even when he sinned, he chose God. David knew that God was a merciful God. Hardness is for our benefit like water off a duck back. David learned how to submit to authority, he learned to develop a thick skin. David was prepared from child hood and God took him through leadership 101; life’s obstacle course to prepare Him. “Who satisfies thy mouth with good things; so that thy youth is renewed like the eagle’s. The LORD executes righteousness and judgment for all that are oppressed. He made known his ways unto Moses, his acts unto the children of Israel. The LORD is merciful and gracious, slow to anger, and plenteous in mercy. He will not always chide: neither will he keep his anger forever. He hath not dealt with us after our sins; nor rewarded us according to our iniquities. For as the heaven is high above the earth, so great is his mercy toward them that fear him,” Psalms 103:5-10 KJV. The hidden works of darkness are revealed by the light of His glory! When they are revealed they usually do not leave quietly. The origin of all the actions must be revealed in the light of His glory! Nothing of darkness can remain in that light, for He is light and His word is light! So, the original source of those attacks manifest, as they end up viciously spreading malicious harm and gossip about the LORD’s beloved. These take unfair advantage to make themselves out to look and seem to be something they are not. Condescending religious spirits and groups, take upon themselves a platform that was never given to them by God. These make influence by popularity, pretense, pride of having seemingly godly authority. Being since they have no godly authority, these spirits will attempt to ride on your anointing and authority to prostitute it thus declaring you are not relevant. A Jezebel spirit and religious spirit are usually those who steal the show and then attempt to put out the light as quickly as they can while the open door is still opened. It is so important to make sure to close the doors in a final manner beloved. People have within them a gnawing need to be filled with something special in their own mind, and heart; regardless if it is good or bad. They can never fill that void with anything external for that place was designed for God to fill and dwell there. Religious traits are usually predictable and understood by the mature. These reveal their own heart and soul by using condescending, disrespectful tone, and words. For those who are on the reciprocal end of this pseudo love pretense, when revealed, are then attacked to try and discredit those they could not control thus making themselves out to be something of authority when they are not. It is important to pray for these people that they learn to come aside, be still and learn. There are NO short cuts in our growth and ministry leadership skills. God wants us to learn how to develop a thick skin. God wants us to know how to handle those critics that disrespect. The LORD wants us to develop the ability to allow things to just roll off; like water on a ducks back. As we develop and mature we learn that the breast plate of righteousness and the shield of faith will deflect, reflect every arrow, and scheme that comes our way when a person touching God’s beloved. Give no credible attention to them, just forgive them, release them, and give them to God. He is the only one that knows their heart and soul. We are hidden in Christ and when critics touch you, forgive them and give them over to God because they don’t realize that they fight against God not us. “And he spoke that saying openly. And Peter took him, and began to rebuke him. But when he had turned about and looked on his disciples, he rebuked Peter, saying, Get thee behind me, Satan: for thou savourest not the things that be of God, but the things that be of men,” Mark 8:32-33 KJV. People with low self-esteem and passive aggressive traits in their soulish thoughts, want relationship with you, but only if they can be in control of correcting you, making you feel really bad about seemingly failures. These condescending spiritual words and actions are in league with those thoughts the enemy is speaking to you! Give no place to the enemy in your thoughts or circumstances! Realize who is speaking to you! Even Jesus taught us when he had to rebuke Peter. Jesus said, “Get behind him Satan!” Religion and accusations are not the encouragement of the Lord’s portion! Job was confronted by his religious friends, as God watched and listened. Those so-called friends were accusing him by making him feel that he must have done something wrong to deserve such punishment. When we are accused in the midst of negativity and in the condescending manner of their own religious soul, these must make themselves out to look better than you! By making themselves look better than you, they join the ranks of the accuser of the brethren. They have to make you look bad to reflect their own insecure agenda! When you are down and out, instead of helping you in the spirit of humility, they kick you again. They see you as a threat so they try to measure themselves against you. We are to lean and measure ourselves with God’s word. There are those among us beloved, that will always measure themselves against you because they are intimidated by you. There are always those who have no respect for the God in you or your rank in His authority. They are condescending and they treat you as something common and disrespect you. The battle is the Lord’s beloved! God keeps us incognito a lot of times to see how others react to us and how we react to us and the whole scenario. Confession and repentance are a cleansing of the body and soul, not a court room on earth that brings railing accusation against one another. Mutual respect, honor, and loyalty are acquired learned behaviors of the mark of a true mature Christian. Author newbeginninginternational.netPosted on July 24, 2018 July 24, 2018 Categories TeachingLeave a comment on Condescending or Credible Witness? Author newbeginninginternational.netPosted on July 17, 2018 Categories Christian LivingLeave a comment on What’s Our Response? Beloved, don’t you realize He is right there with you? He will never leave or forsake you. “Jesus saith unto him, ‘Thomas, because thou hast seen me, thou believed: blessed are they that have not seen, and yet have believed,’” John 20:29 KJV. Beloved, don’t you realize He is right there with you? He will never leave or forsake you. Yes, you have entered a new realm of His holiness. You are noticing different things have changed, but you wonder why you can’t feel things like you use to. Do you remember when Jesus told Thomas to believe? However, Thomas would not believe until he used all his physical senses to believe. Once he saw and felt Jesus hands and side; his senses confirmed and he believed. Blessed are those who trust God even when they cannot hear, see or feel. Faith has nothing to do with our senses, emotions, or feelings. Faith is a fact! Faith brings substance to our hope that brings true godly evidence into our world. Faith is the eternal, mixed with our temporal, that brings the eternal order of facts into manifestation in our destiny. Emotions cannot be trusted beloved. Your trust must be in Christ alone who is the hope of glory! God’s Word is forever settled in heaven and on the earth. To put trust in any other person, place or thing will cause us to be sidelined by doubt and unbelief. The fear of the LORD is the beginning of wisdom and the fear of man brings a snare. Fear God and live beloved! If you have little mustard seed faith, you can do powerful things through the Holy Spirit! Heaven and earth will pass away but His word will never pass away. It is limitless into infinity! God’s faith in us is forever settled in heaven for every blood bought child of the living God! God’s Word when we believe and speak it, is so powerful! God’s Word has creative power! God’s Word spoken, created the universe and all that it contains. God’s Word is never ending; it’s timeless and infinite. God’s Word is impossible to measure or even fathom. God’s Word has the same creative power, purpose, force, and destiny in our lives. The Bible describes it like a fire and a hammer that breaks rocks in pieces. God’s Word in us is totally complete through His mighty redemptive work done at Calvary! God’s Word is totally amazing; having supernatural finishing power! God’s Word is the source of all life physically, emotionally and spirituality; throughout all eternity. Eternity meets earth, inviting us by His finished work giving us the gift of free choice and free will. Behold, He stands at the door of eternity and knocks. If anyone opens that door, eternity enters. Anytime anyone makes that choice to meet with eternity, it causes a fusion. There is a split right down the middle in fusion, where man and God become one. We must make a decision with our free will and choice to accept or reject this freedom. When we accept our free will and choice, we can then make our final decision becoming fused together at that moment; making the two one. When you opened that door, by receiving him, you put your trust in Christ; NOW faith is! Not was, not when, not how, or then! Now faith is! You heard him knock on your heart and you opened the door and He came in! You trust Him! These words became an infinite, creative force within, that many do not understand. Now faith is, that spiritual substance. It contains creative power taking you as mortal clay in His infinite hand forming you into His masterpiece. He has kept you in the palm of His hand and nothing can pluck you out. Remember beloved, being molded into His masterpiece is an ongoing process, though the works were finished from the foundation of the world. Being kept in His hand by faith is a fact, even though at times, it may not feel like it. It doesn’t change the outcome because it is done. Now faith is beloved! He is our creator and His DNA make us creative by nature. He gives us His artistic flare to create what has been, what is, and what will come. Our vessels are delicate, easily marred, and broken. Earthly things can always be broken or damaged. He is always working things together for our good and our benefit. He will create and mold you into what He desires. Creative power is given to you by the Holy Spirit. There is nothing missing, nothing broken. Beloved, you were known and chosen from the infinite riches of His glory! Open your eyes and see all the new things! Now faith is! Sometimes we are pressured in every direction and we are shaken to our very core. The enemies desire is to bombard you with the trouble with the cares of this life. The enemies desire is to see you buckle under the pressure of the turbulent winds and waves of this storm. As the enemy uses Intimidating winds and words of adversity to shake us, it is in these times and trials that our faith is being tested and your faith is proven in the midst of troubled times and seasons. Beloved, don’t forget to speak the Word! God is watching over His word to perform it. God’s ultimate desire for us is so that others see Christ in you, the hope of glory! God never wastes anything we go through in life’s trials. As we apply God’s word to our thoughts, our mind and flesh are being conformed through that process. These are the lessons of lasting value. There is no amount of college or university training that can teach us the valuable lessons we glean by days spent in the fields of opposition. How we react to pressure will show us where we are in our walk of faith. God already knows our heart, but He wants us to know our own heart! His great desire through us is to represent Christ to this world so He can trust us with people, having great compassion. He is with us and walks in and through us as we learn to trust and yield to Him in all circumstances. He wants us to conquer us! Our flesh is our greatest enemy. As we learn to die to our flesh daily, it brings newness of life In those areas conquered. Yes, the process for growth isn’t easy but so worth it beloved. As we learn to yield completely to the Holy Spirit in us, He wants to trust us with His heavenly vision and treasures! There are experiences and places in God that we cannot even fathom! It is far beyond anything this world has to offer. The LORD gives us the free will to choose just how much of heaven do we want on earth. To walk in heavenly places takes a strong deliberate choice and a powerful effort to become sold out to God’s will. As we mature and die daily, things that hinder our walk are cut away. When our only desire becomes “Him” it will cost us everything to develop such a hunger for God. God’s Word, praise, worship, fasting, and prayer are the Christian disciplines that develop the avenue for emancipation! Beloved, it is our choice and decision to hunger and thirst after righteousness for in doing so, we shall be filled. Beloved many Christians never scratch the surface in wanting more of God. Even though some were given great messages of prophecy that were supposed to be moving in their destiny, but they are not. Many people see the price and back down and settle, not wanting to know anymore. They get comfortable and back down to where things were good like before. Living on memories and past experiences is all those people have. Those that fail to move on with God is their choice. God gave them free will and choice. Our job is to pray for them and move on with the LORD. Being superficial in our relationship with the LORD makes us have superficial lives. This word is to encourage and to exhort those who want everything God has for them! Beloved, we have read of people who had such amazing lives in ministry. People like Smith Wigglesworth, Maria Woodworth Etter and other generals of the faith. God is no respecter of persons, and if he did it for them, He can do it for us! It is very possible to walk with God in a deeper way to impact many lives and to know Him in such an incredible way! 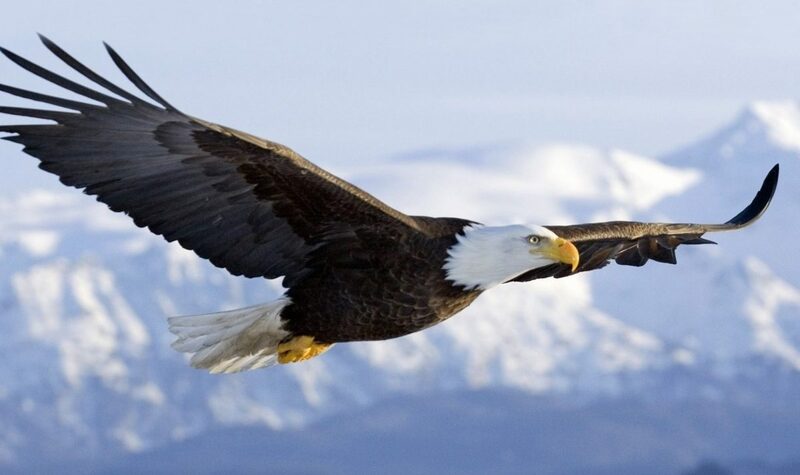 Just imagine walking in such freedom! I have longed and desired this type of love walk with God since I came to know Him. As we die to our will and only want His will, the Holy Spirit in our innermost being can be liberated in us and through us. He wants to flow through our body and soul to reach the world! We must measure ourselves according to the plumbline of God’s Word and to the degree of desire we have within. Repentance of sin is ongoing as we are serious about removing all idolatry in our lives. We must become hungry, desperate, and famished for God if we desire to see His wonders to perform. Jesus walked the earth, knowing desperately that having that time with His Father was a necessity, not an option. Jesus only did what His Father said. It is our choice beloved, of how much of God we really want. Personally, I am on a trek with God, seeking Him with my whole being. I only want Him and His will. I pray that God will stir your heart to be laid down lovers with Him and be one in all things. “To the intent that now unto the principalities and powers in heavenly places might be known by the church the manifold wisdom of God,” Ephesians 3:10 KJV. “Blessed be the God and Father of our LORD Jesus Christ, who hath blessed us with all spiritual blessings in heavenly places in Christ,” Ephesians 1:3 KJV. There are issues that plague all of us, but they teach us to glean from these type of experiences that gives substance to our faith. The seed of the Word must be cultivated in and through the midst of trial and tribulation. It is the proving ground of our heart condition. We are not able to see the seeds sown until they sprout and are revealed as the tiny plant pushes through the soil. You may feel your efforts are fruitless, but beloved, sow those seeds; tend your garden. You will eventually see the results! The plants are proven and soon the fruit of the vine appears! Just one seed yielded so much harvest! God always does things exponentially! Like the seeds and planting, tending, and harvesting, it is a work of grace similar to how we are developing in God. We must prepare the soil of our hearts, and then plant the word and work the Word! Pull out those weeds, make sure it is watered and tended to. There will come a day when you will harvest the fruits of your labor. “Who passing through the valley of Baca make it a well; the rain also filleth the pools,” Psalms 84:6 KJV. “And Sharon shall be a fold of flocks, and the valley of Achor a place for the herds to lie down in, for my people that have sought me,” Isaiah 65:10 KJV. “And I will give her her vineyards from thence, and the valley of Achor for a door of hope: and she shall sing there, as in the days of her youth, and as in the day when she came up out of the land of Egypt,” Hosea 2:15 KJV. God can advance us and he wants us to know that even in the midst of troubling times he knows our frame and watches over us. The LORD’s care and concern also include; watching how we react to things. There is a price beloved, in wanting all God has for you. I would be amiss and very mistaken if I didn’t share the balance of these things. But understand this, I am not saying this is easy. You will enter intense spiritual warfare. However we are overcomers, but the enemy will check every avenue and door or crack that is open so he can come in and try to hinder or stop you. There will be confrontations with the adversaries works and you will be more acutely aware of them. Along with the blessings of the LORD and walking closely with Him, the enemy will do everything he can to stop you! He specially will attempt to keep distractions ongoing so that you are so busy that you have no time to pray. Being prayerless causes us to be careless. Beloved if we are too busy for prayer, then we are too busy. What is it that keeps you distracted and so busy that you have no time for the LORD in prayer and intimacy? Prayer is our lifeline to God. It is our hotline to heaven. You will find not only the enemy hindering you and your prayer life, but what is worse? The enemy will use our own flesh against us to resist prayer and be distracted by so many things. The enemy, along with your flesh, will think of a million things you could be doing instead of getting alone, and quiet before the LORD. Our first love relationship is Jesus! That is our first ministry. He wants to fellowship with us and wants to share secrets to those who are trustworthy. His great love is for His bride. We must develop a listening ear and heart. God delights in us as we seek Him and read His word. Beloved, test the spirits for many are out there and they are not of God. We cannot rightly test anything if we are prayerless. If I haven’t prayed, I don’t say anything to God’s people. We cannot trust anyone but God! When we have pulled away from our life source in fellowship and intimacy with the LORD, we are wide open for invasion. The enemies of our soul will plan for weeks in advance, causing distractions to move us away from our prayer time and intimacy with the LORD. We must be alert and on guard not to lose our sensitivity to God. If that happens we won’t be able to hear and discern the LORD. Prayer is not an option it is a necessity! Beloved of God, this is my first ministry, my first love; I fellowship with Him and I know I can do nothing without Him. He is my heavenly husband so I pray because I adore Him. I don’t do it out of obligation. I am in love with my master and I dwell with Him because I love Him and I want to. I must pray also and intercede for others. Because of ministry related reasons, I must pray and intercede for others especially my ministry network. Intercession should flow out from the results of our overflow in our prayer time. We should desire all He has for us! We must continue to resist the devil and press into prayer and intercession. Daily prayer time makes us sensitive to God and also if demonic warfare is near. For every Christian, prayer is that necessity. Prayer is our first calling, our first ministry; our communion with Him and His body. Prayer is foundational; nothing can happen without prayer. It isn’t just something we have to do, it is something we eagerly want to do to hear His voice. We should learn to be still and know He is God. We should desire to mature in God, but that takes discipleship and that root word is discipline. Prayer is a spiritual discipline that we acquire. Everyone who confesses Jesus is LORD and Savior is a Christian, ALL of us are to pray. That is something we all have to do, by learning how to communicate to God through prayer. If you feel like prayer is something you avoid, something you have to do. That is the wrong motives. I would suggest to get serious with God and dedicate some time to fast and pray. There are many ways to fast, and if you need more understanding on that, message me and I will speak with you. Ask the LORD to help you and ask Him to manifest His best for you. Also seek the LORD and ask Him to reveal Himself to you and to give you a greater awareness of His presence. Ask Him that you greatly desire to come closer to His presence. I believe fasting and prayer should be something we do very often. It takes off the rough edges we acquire from living life. Fasting also causes us to get more centered on God. The important thing is to take that time and dedicate it to how many hours or days you feel led to do, and give yourself to prayer and Bible study. When you begin, tell God you want to become sensitive to Him. There are many ways to fast. God will honor whatever is done towards Him in sincerity. When you fast, be sure you spend time with Him and consume the Word. For example, I take a pill everyday and it requires that I eat with it, so very often I will fast two meals a day. I get up early at 5:00 a.m. and dedicate my time to Him from 5:00 a.m. to 5:00 p.m. I don’t eat but one meal after 5:00 p.m. and depending on what the fast is all about. The most important portion is that you seek God with all your heart and with that time and study the Bible and write what He gives you. Beloved, God will honor any type of fast you dedicate to Him, just do it. I also don’t watch TV when I fast. It can be many things. The object is for the LORD to anoint you with fresh oil and to make you sensitive so that you desire to be closer to God. He will honor that fast beloved. Fasting helps us get back into alignment with God and those who we are close to. “And that ye study to be quiet, and to do your own business, and to work with your own hands, as we commanded you,” 1 Thessalonians 4:7 KJV.